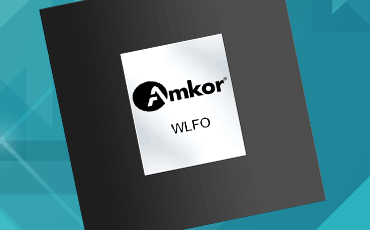 Amkor is a world leader in Wafer Level Fan-Out (WLFO/LDFO), the fastest-growing packaging technology on the market today. This advanced packaging platform is also considered to have the most potential for applications requiring small-form factors in x, y, and z (low package height), tight transmission loss requirements or high-performance demands. With our proven high-volume manufacturing capability, Amkor has shipped over 1.2 billion WLFO packages (November 2017), achieving industry-level yields and full JEDEC and AEC-Q100 (Grade 1) quality/reliability compliance. WLFO benefits include the flexibility to enable 3D multi-component package designs (WL3D) and outstanding performance at the mechanical, electrical and thermal level enabled by its substrate-less design. This smaller, thinner and lighter package also allows for the highest integration density commercially available in the industry. WLFO enables flexible System in Package (WLSiP) and heterogeneous integration packaging solutions in 2D (side-by-side) and 3D constructions (WL3D). Its superior electrical and thermal performance is due to shorter and more precise interconnections, as well as reduced material layers, which are especially recommended for very high-frequency applications. WLFO is a RoHS and REACH compliant packaging technology.